Drum Roll Please...We Started a Blog!! Sally began her real estate career in 1991 and has continued to work full-time with Buyers and Sellers since. With over $300 million dollars of closed real estate, she has been a consistent Top Producer throughout the years. She is an expert in luxury real estate sales, waterfront properties, golf communities and executive relocations, she is someone you can count on from beginning to end. And let me tell you…she has the reputation to prove it! 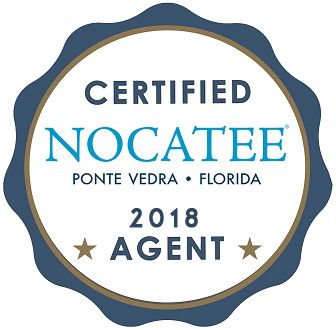 Her customers turn into friends and in this cutthroat industry she has managed to rise above to be one of the few agents that people look forward to doing deals with – that’s the kind of agent you want on your side! So enough serious talk, how will we make this blog different from all the others? “We” being the key word because Sally along with other industry leaders will be contributing along the way. This will be a space that is not just filled with market updates of Ponte Vedra Beach and the Jacksonville Beaches but a place where we can share tips and tricks about decorating trends, easy DIY ideas to spruce up any area, home staging advice if you are looking to sell and an occasional recipe because what would a blog be without a good recipe! We will share information that is valuable to becoming a smart homeowner and be a resource, no matter what stage of homeownership you are in. If you have any suggestions then please let us know in the comments below! I am excited to start this journey of blogging as intimidating as it may seem. We hope you enjoy everything that is to come. Have a great day! As someone who has had the pleasure of working with Sally & now Amanda twice in the past 2 years I'd have to agree that they are a awesome!! And I look forward to reading your blog!